We hope to see you out at all of our Picture Shows this summer; head over to our Shows page for the full lineup! But, we must admit that we love other outdoor movie theaters as well. Here are a few of our favorites! 5. 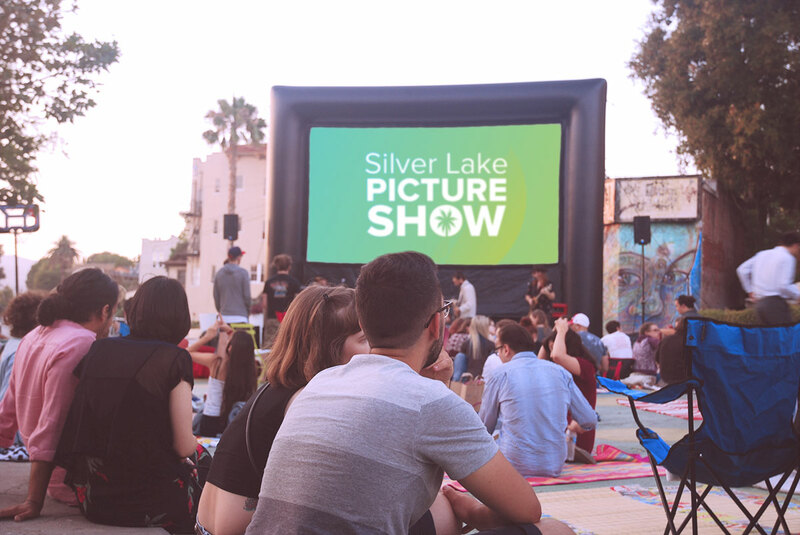 SPICE WORLD by Street Food Cinema at Poinsettia Rec Park! June 2nd! Coming in at #5… Are you kidding me? This is a no-brainer. 4. THE BIG LEBOWSKI by Eat|See|Hear at Santa Monica High School. June 16th! At #4…. It’s the 20th anniversary, so there’s that. And it’s THE DUDE! 3. THE FIFTH ELEMENT by Rooftop Cinemas at LEVEL. June 20th! At #3… We’ll see Mila, Bruce, and Gary anywhere, anytime. 2. THE MUPPET MOVIE by Outdoor Movies at Skirball Cultural Center. June 29th! Almost at the top, #2 on our top outdoor movies in June list… Beautiful setting, hilarious muppets. Which one is the muppet movie again? Does it matter? We didn’t think so. 1. THE SHAWSHANK REDEMPTION by Rooftop Cinema Club – June 13th! And in our opinion, the BEST (2nd best) movie to see in the month of June? Because nothing says “summer in America” like… well… we thought it was bold anyway.